Hello Kitty fans of all ages are in for a treat this May, as the first permanent Hello Kitty attraction in Europe opens at Drusillas Park in East Sussex. 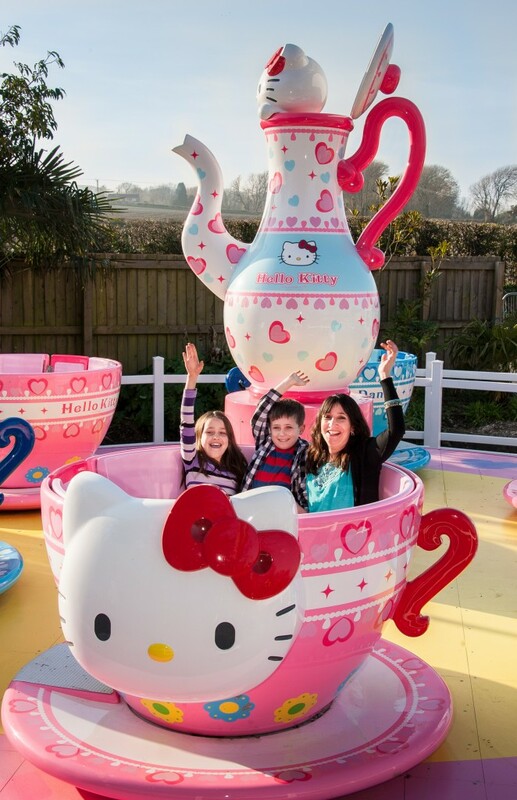 Set within an English country garden, the exciting new attraction includes three specially designed Hello Kitty children’s rides. Excitement will hit new heights as visitors ‘reach for the sky’ on the 25ft Hopper, before taking a turn on the Tea Cup ride. Passengers can then jump aboard the Hello Kitty Car Ride and enjoy a magical tour of sights and sounds.